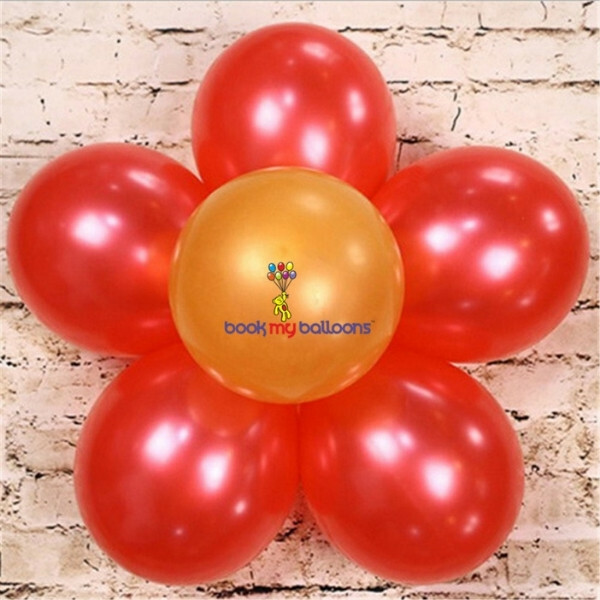 Air balloons decorations to make in beautiful Bunches of 5 (Sunflower shape) or Singles on the floor. 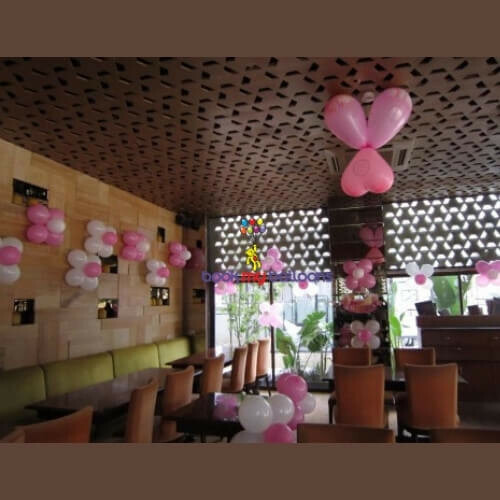 Lifetime – Normal balloons will last 10 hours maximum under normal temperature. 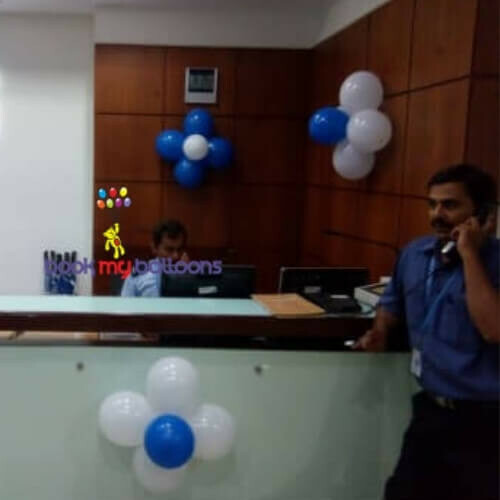 Balloons can be delivered anywhere in Bangalore between 6 am to 10 pm. NOTE – We use Paper Tapes, which will not leave marks/ damages to the wall. 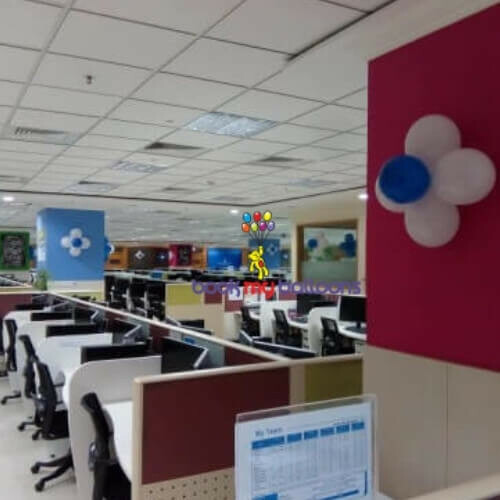 This includes Transport, delivery, and Decoration at your place anywhere in Bangalore.